Walt Whitman was a famed and much liked nineteenth century poet. Even so, during the American Civil War, he had a number of issues to contend with, most notably when he thought that his brother appeared on the casualty list. Here, C.A. Newberry shares Walt’s Civil War story. Walt Whitman by George Collins Cox in 1887. The Battle of Fredericksburg set off a chain of events that provided a defining period in the life of famed poet, Walt Whitman. What may be surprising is that he wasn’t anywhere near the battle site when this sequence was set in motion. This prominent battle took place in December of 1862. Historians have recorded this battle as one of the most monumental events of the Civil War. There were some 172,000 troops and 18,000 casualties. It was also significant due to the fact it was probably the greatest victory for the Confederate Army. Long before the Civil War began, Walt Whitman Sr. married Louisa Van Velsor. They raised their family in and around Brooklyn, New York. Walt Whitman Jr. was the second of nine children. Three of his brothers were named after great American leaders: Andrew Jackson Whitman, George Washington Whitman, and Thomas Jefferson Whitman. George Washington Whitman, who was ten years younger than brother Walt, lived up to his namesake when he answered the call to enlist just after the rebel attack on Fort Sumter in April 1861. In the fall of that year George enlisted with the fifty-first New York Volunteers to serve for three years. George was actively involved in the Battle of Fredericksburg on those fateful days in December. Back at home the Whitman family checked the daily newspapers and poured over the lists of wounded. One day the name “G.W. Whitmore” appeared on the casualty register. The family was apprehensive, fearing this was just a muddled version of George’s name. So, straight away, Walt set out on a quest to find his sibling in Virginia. His journey to find his brother was fraught with challenges. At one point, while changing trains, he was pick-pocketed. He forged ahead penniless, until he was fortunate enough to run into a fellow writer who was able to loan him the funds to continue. When he arrived in Washington he spent his time searching through nearly forty hospitals. This search proved futile. Desperate to continue the search, Walt was able to arrange transportation with both a government boat and an army-controlled train that delivered him straight to the battlefield at Fredericksburg. His hope was to discover his brother there. To his relief he was able to locate George’s unit and discovered that George had indeed been injured but with only a superficial facial wound. After his arrival to the battlefield he began visits to the makeshift hospitals, which were mostly made up of deserted army barracks. It is well documented that Walt was greatly impacted after seeing a heap of amputated body parts lying outside. Walt then made the decision to stay with George at the Fredericksburg camp for almost two weeks. He spent his time logging entries in his personal journal and visiting wounded soldiers, both on the battlefield and the makeshift hospitals. At the end of his visit Walt was asked to assist in relocating wounded soldiers to other Washington hospitals. On arriving in Washington he began to visit the soldiers that he had accompanied from Virginia, extending his rounds to include other wounded soldiers who were staying in the hospitals. His visits became routine, with his days spent tending to the wounded, reading aloud, helping soldiers to write letters to home, and distributing gifts. Walt’s stay in Washington lasted for eleven years. In this period he held varying jobs, including a clerk’s position at the Department of the Interior. But when James Harlan, who was the Secretary of the Interior, discovered that Walt was actually the author of Leaves of Grass, he was immediately released from this position. Secretary Harlan found the publication offensive and did not feel Walt should have a position in the department. Nevertheless, he succeeded in the considerable task of supporting himself. He held jobs, received modest royalties, and was sent money by writer friends. The majority of his income was dedicated to buying nursing supplies and gifts for the wounded who he spent time tending. At this point in time nursing was unorganized and haphazard. There was a lack of training and definition. Walt’s time as a nurse would probably be categorized as volunteering in later years. However, Walt took a great deal of pride in his status as a volunteer nurse and a ‘consultant’ to the wounded. And he even received an appointment from the Christian Commission, a branch of the YMCA. Walt considered this glimpse into the military hospital world a cherished time. He would later share that this time period served as “the very center, circumference, umbilicus, of my whole career”. Walt Whitman was forever altered by this point in time. Historians recorded that war affected his well-being, both physically and mentally. This also led to a change in his writing, becoming more focused on recording his observations from the war and his hundreds of hospital visits. For us, he provided an invaluable glimpse into this significant point in history and will forever continue to speak to us through his poetry and beautifully written words. 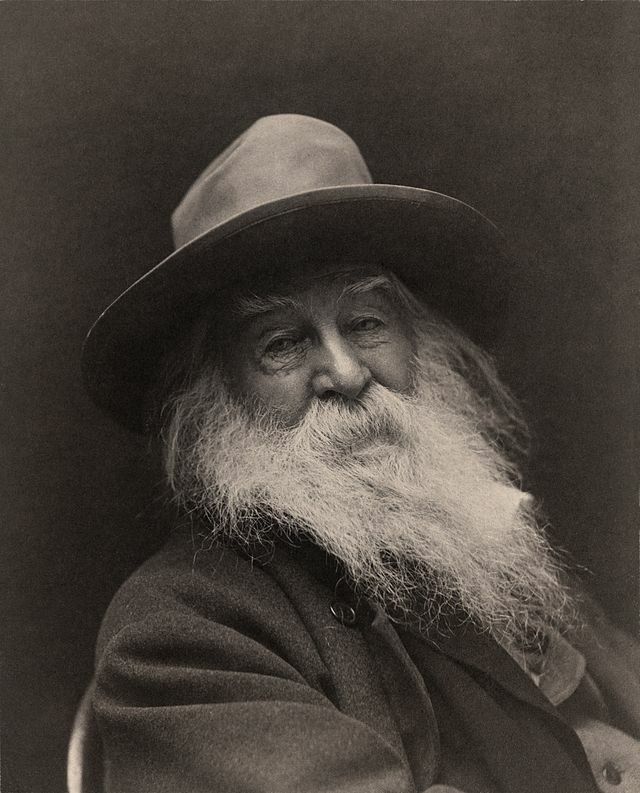 The Walt Whitman Archive, edited by Ed Folsom and Kenneth M. Price, Published by the Center for Digital Research in the Humanities at the University of Nebraska-Lincoln (The Walt Whitman Archive is licensed under a Creative Commons Attribution-NonCommercial-ShareAlike 3.0 Unported License, which allows others to distribute and adapt our work, so long as they credit the Whitman Archive, make their work available non-commercially, and distribute their work under the same terms) (Accessed: 12/08/2014). “Fredericksburg”, maintained by the Civil War Trust Staff & Board, www.civilwar.org. (Accessed: 12/08/2014). History’s Favorite Nurses, Maryville University (Accessed: 12/08/2014). Walt Whitman, American Writer and Civil War Nurse, by Elizabeth Hanink, RN, BSN, PHN, posted on Working Nurse (Accessed: 12/08/2014).